We’re not only outside the pan, we’re outside the kitchen! Follow along with the news about Meatloaf Outside the Pan. 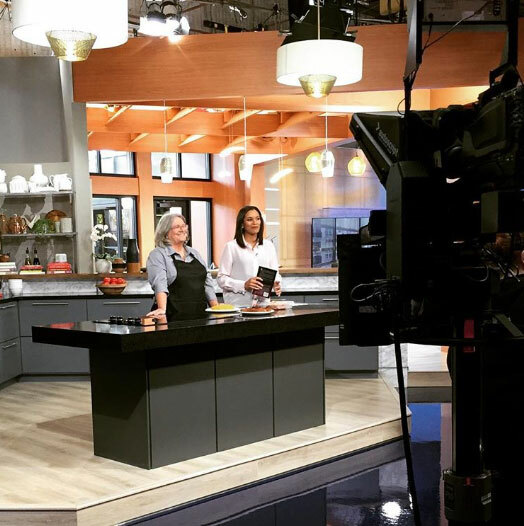 The Rachael Ray Show – October 13, 2017 – You Have to See This Woman’s Art — Made of Meatloaf! MOTP got a shout out from The Ellsworth American when author Carol Falkowski ‘experienced totality’ in her kitchen. 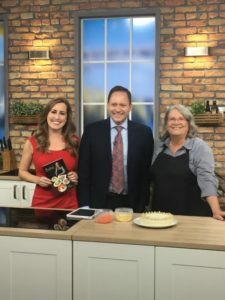 Carol in the kitchen with the WCCO TV Mid-Morning Crew, Kylie Bearse and Jason DeRusha.